The musical lovechild of Judge Judy and Jerry Springer! Multi-award-winning Adelaide theatre company Davine Productions and David Gauci presents the Australian premiere of this hilarious over-the-top courtroom musical by New York duo Dimond and Kooman (writers of Home Made Fusion and Vampirina) based on a concept by Van Kaplan. 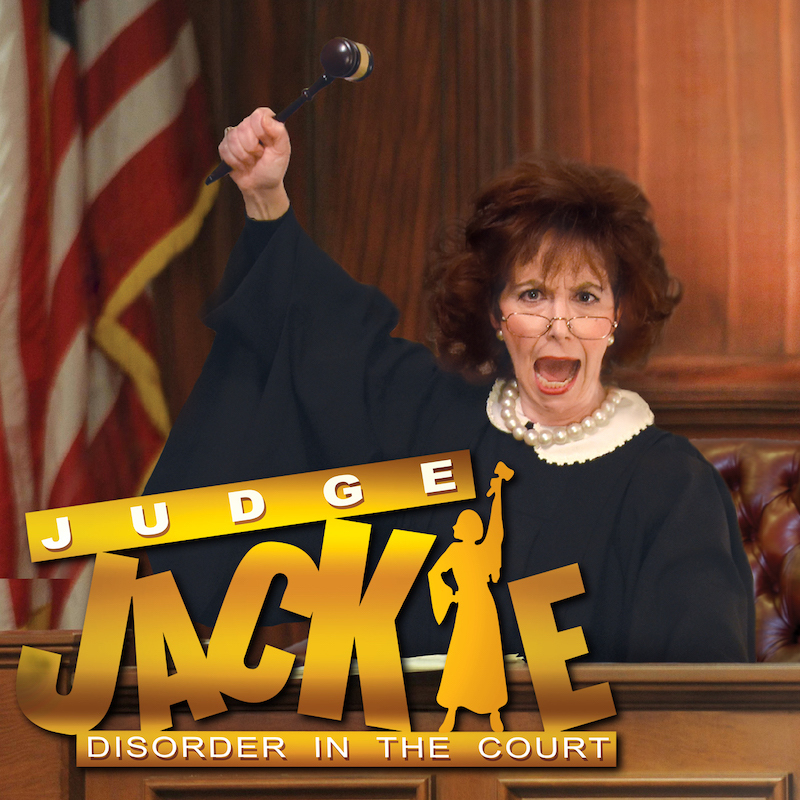 Judge Jackie presides over her Reality TV courtroom with an iron fist, ruling on some of America’s most ridiculous civil cases. As the cases and chaos unfold, audience members serve as the jury while the defendants plead their case. In a show trial of top Adelaide talent, five actors play 25 characters in this delightful disregard of jurisprudence. Katie Packer as Judge Jackie is joined by Adam Goodburn, Paul Rodda, Joshua Angeles and Casmira Hambledon. David Gauci, producer/director of Davine Productions, has gained an impressive reputation and many awards over seven years of Fringe shows for cutting-edge modern music theatre style. Gauci produces South Australian or Australian premieres and works with some of our most talented and experienced performers. All shows have won or been nominated for Fringe awards and received critical acclaim. The Parks Theatre, is one of the state’s theatrical treasures and now 11 minutes closer to the CBD via the Torrens-to-Torrens motorway. “Mr Gauci and his ensemble’s works have been produced and performed with such a high standard of excellence in all areas” – Tony Knight, Stage Whispers. “David Gauci’s production company has a strong pedigree for putting on high-quality musicals not seen before in Adelaide.” – Nathan Quadrio, Glam Adelaide. May cause you to laugh lots!